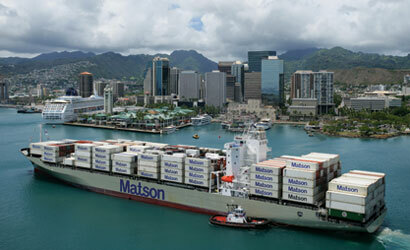 Crew members in charge of sailing Matson ships are nearing a deadline to reach a new contract. KHON2 learned Wednesday night that if both sides don’t have a deal by July 1, the workers can walk off the job. The cost to convert to electronic medical records at the state’s 14 public hospitals will likely exceed $100 million over five years, nearly double earlier projections. Hawaii Health Systems Corp. says it will need to seek additional funds from the Legislature next year for the largest project in decades at its antiquated facilities that provide acute and long-term care as well as critical access services on Oahu and the neighbor islands. Star-Advertiser. Gov. Neil Abercrombie has approved a pair of bills imposing new regulations on campaign super PACs. Abercrombie also gave final approval Tuesday to the two-year state budget of $11.8 billion for fiscal year 2014 and $11.9 billion for fiscal year 2015. Star-Advertiser. The federal government wants Hawaii to give back more than $500,000 in stimulus funds after state officials let a nonprofit spend it on computers and multimedia equipment for at-risk youth. Civil Beat. The group of University of Hawaii regents assigned to find the next UH president said it will look for a candidate with strong island ties before conducting a national search. That might require reaching beyond academia and widening the candidate pool to include leaders in the business, government and nonprofit sectors. Star-Advertiser. FACT CHECK — Gov: Hawaii is 'Most Stable' State Government. Civil Beat. 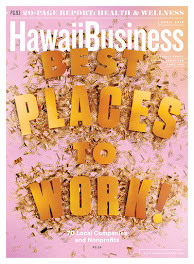 Hawaii is ranked eighth in the nation for most entrepreneurial activity, according to a report in CNN Money. 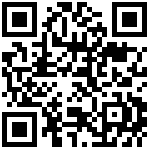 Pacific Business News. You've probably seen the logo for "Defend Hawaii," a streetwear company, on T-shirts or on vehicles. It's the two words sandwiching an AR-15 assault rifle. The company's owner says it can be misinterpreted as perhaps being anti-American or anti-haole, but he maintains it's to protect the Hawaii way of life. Hawaii News Now. Honolulu Mayor Kirk Caldwell joined local cyclists, federal environmental protection officials and state and city workers on Wednesday to ride more than six miles through town, promoting bicycling as a healthier, more affordable way to commute. Star-Advertiser. Honolulu Mayor Kirk Caldwell wants to encourage a more bike-friendly city. So we strapped a camera on his handlebars and watched him roll. Civil Beat. Nearly 40 nonprofit organizations represented at a meeting Wednesday for those wishing to apply grants from the city ran the gamut of interests — from one of the state’s largest hospital systems to a group that wants to provide birth control tablets to feral pigeons. Star-Advertiser. Hawaiian Electric Co. hopes to reduce electricity costs by adding more lower-priced, renewable energy projects. HECO said Wednesday it is asking state regulators for permission to negotiate with developers of five renewable energy projects that want to sell electricity to the utility for one-third less than HECO's current cost of generating power. Star-Advertiser. The Hawai’i Community Development Authority conducted back-to-back public hearings today for two condominium projects in downtown Kaka’ako. Hawaii Public Radio. Recently released data from Hawaii’s Department of Aquatic Resources indicates that the overall number of reef fish off the coast of Puako has fallen by between 43 percent and 69 percent over the last quarter-century, and off of Pauoa, the fish population dropped between 49 and 76 percent. Civil Beat. Less than half of Hawaii County residents responding to a Hawaii Police Department survey believe the agency does a good job keeping the island safe, but most said they are comfortable contacting the department and were treated with “aloha and respect” by officers. West Hawaii Today. Three sovereignty activists who were arrested on April 5 near the King Kamehameha the Great statue on the Hilo Bayfront were in Hilo District Court on Wednesday. Judge Barbara Takase delayed hearings for Abel Simeona Lui, Simbralynn Kanakaole and Kittrena Morgan until July 24 at 1:30 p.m. All have pleaded not guilty to illegal camping at their “Kanaka Garden” near the statue of the Hawaiian monarch at the Wailoa State Recreational Area. Tribune-Herald. A 69-year-old Ocean View man awaiting trial for allegedly molesting two underage girls was a deacon and youth mentor for a church in the remote Ka‘u community for at least a part of the time the abuse was alleged to have occurred. Tribune-Herald. Kekaha Kai State Park remained closed for a second day Wednesday while a 28-year-old Kailua-Kona man remained hospitalized, recovering from shark bites to his leg. The shark attack occurred shortly before 1 p.m. Tuesday afternoon in waters off the Mahaiula area. West Hawaii Today. Lt. Governor Shan Tsutsui signed a $1 lease agreement with the mayor, which allows him to utilize office space at the County Building for the next 18 months, officials said. Maui Now. Maui Electric Co. announced its plan Tuesday to refund $7.8 million, plus interest, to its customers on Maui, Molokai and Lanai. The refund will be in the form of a credit on customers' bills, the utility said. Maui News. 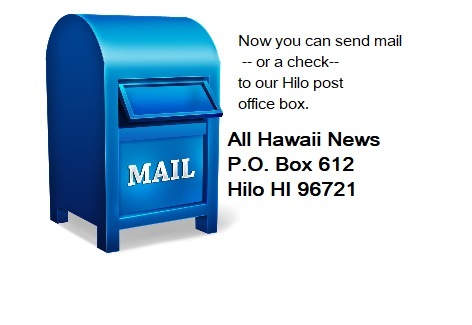 A proposed waiver that surfaced in a special meeting of the county council today failed to pass as an investigation looms over potential misuse of funds involving the demolition of the Old Wailuku Post Office. Maui Now. Saying a recent rash of unscheduled cane fires has endangered residents and firefighters while taxing Fire Department resources, Fire Chief Jeff Murray asked for help from the community by reporting suspicious activity. Maui News. The Texas-based landowner of a controversial 700,000-square-foot retail shopping complex in Kihei has taken over development of the project and plans to change its concept to a "mixed-use" development with business, commercial and residential uses, a representative for the project said Tuesday. Maui News. An education specialist with the state Department of Land and Natural Resources Division of Aquatic Resources will discuss coral reef trends, threats and management from 6 to 7:30 p.m. Thursday at the Pacific Whale Foundation's Discovery Center near Maalaea Harbor. Maui News. For the fifth straight year, residents and visitors can participate in the Mayor-a-thon, an event that draws hundreds of people to the multi-use coastal path, Ke Ala Hele Makalae, for a day of fun, exercise and a chance to win prizes. Garden Island. The residents of Kalaheo, Omao and Lawai who were unable to attend the kick-off events for the South Kauai Community Plan update are encouraged to share their thoughts on the future of their communities at a workshop scheduled next week. Garden Island. George Thompson, owner of Fathom Five Divers in Koloa, has been chosen to represent Kauai as an advisory council member for the Hawaiian Islands Humpback Whale National Marine Sanctuary. Garden Island. Oracle Corp. CEO Larry Ellison has quite the influence and power. The billionaire, who became the majority owner of Lanai last year, managed to leverage his relationship with Nobu Malibu to briskly open a Nobu restaurant on Lanai at Four Seasons Resort Lanai at Manele Bay in less than a year. Pacific Business News.